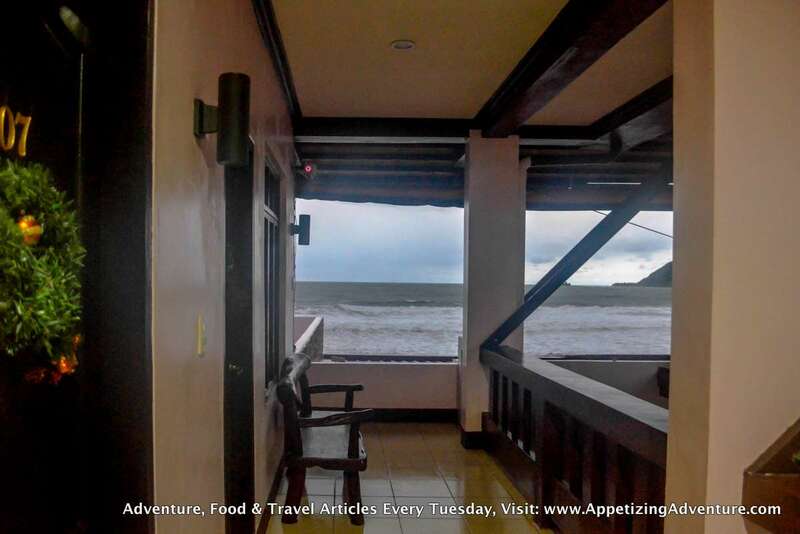 Just a few steps from the shore, you’ll find Bay-ler View Hotel, one of the top five accommodations in Baler. My friends and I occupied room 207. 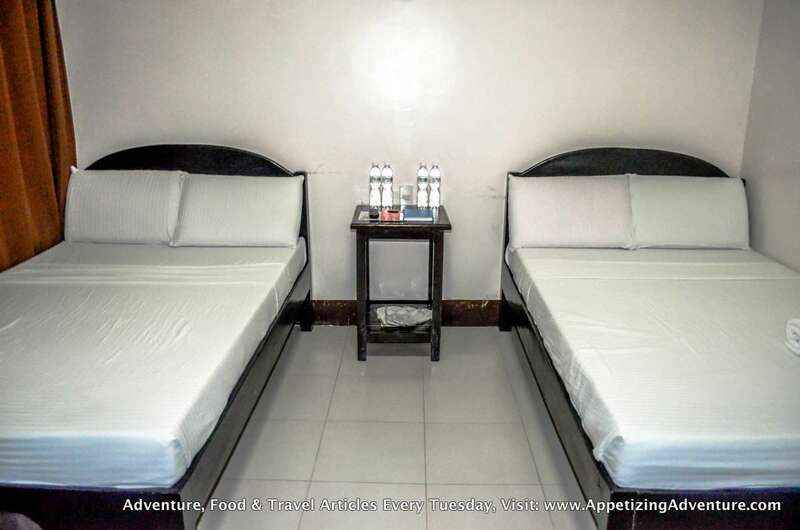 The air-conditioned room has two double beds; those are two big beds good for sharing. There’s a plasma TV and a bathroom. Four complimentary bottles of water were available for the four of us, and complimentary guest kits each. I appreciate their cotton buds in the guest kit, which also includes soap, shampoo, toothbrush, and toothpaste. 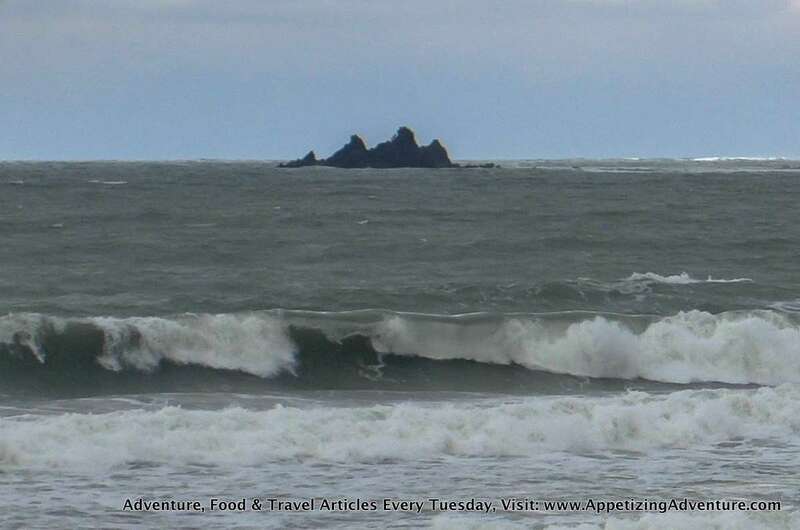 Not all accommodations in Baler provide this. And when it’s time to take a bath, the hot shower was relaxing. When I need to do the number two, I was thankful their toilet came with a bidet spray. It just feels cleaner when toilets have bidet sprays. Bay-ler View’s location is also a huge factor it’s highly recommended. It takes a few seconds for you to leave your room and reach the beach. 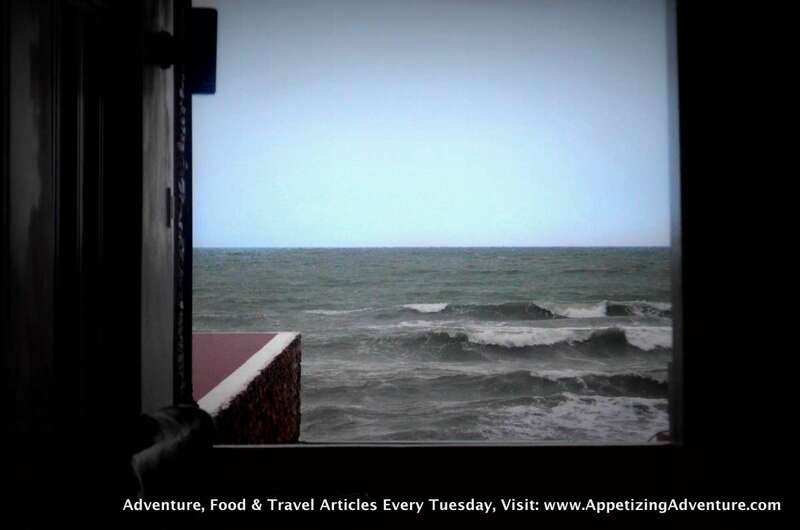 If your room is on the second or third floor, you have a great view of the sea and the mountains. Enjoy spectacular sunsets and dramatic dawns, when it’s not cloudy. Another big plus for me is the delicious food they serve. 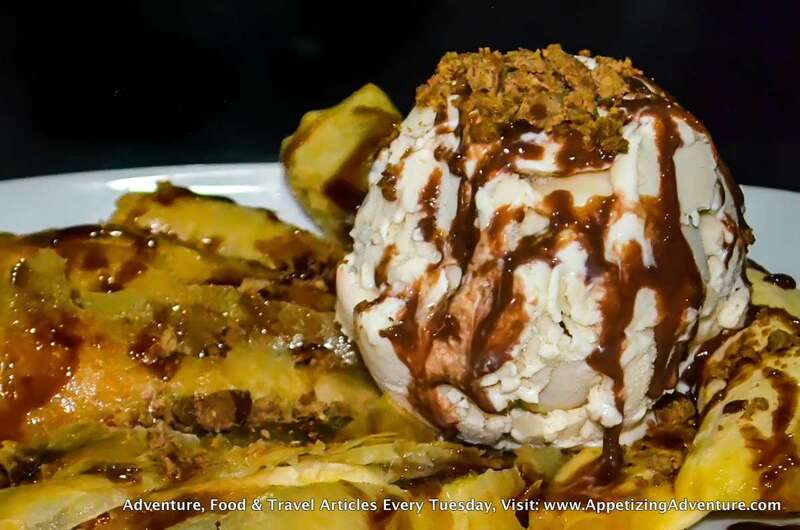 You have to try their boneless crispy pata and chocnut turon! But save that for lunch and dinner because for breakfast, you get complimentary meals with these to choose from: tapsilog, porksilog, or tocilog. While eating, you can enjoy the strong wifi signal on the ground floor. 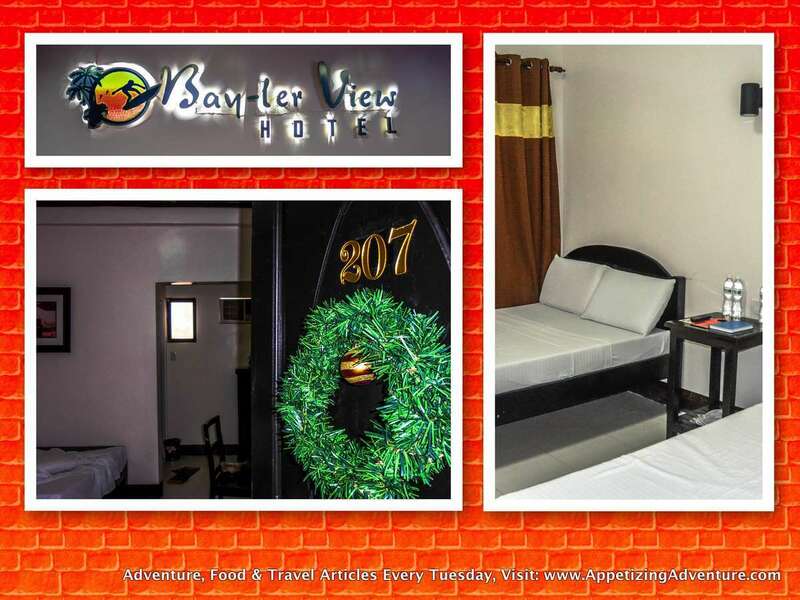 Bay-ler View Hotel’s owner, Ms. Ella Tablang, said the name is basically the town’s name, Baler, with a “y” in the middle. Since they are located in front of the beach, “Bay” was emphasized. Ler, coincidentally, is the name of a sea god in Irish mythology, Ms. Tablang added. There are a total of 22 rooms available. 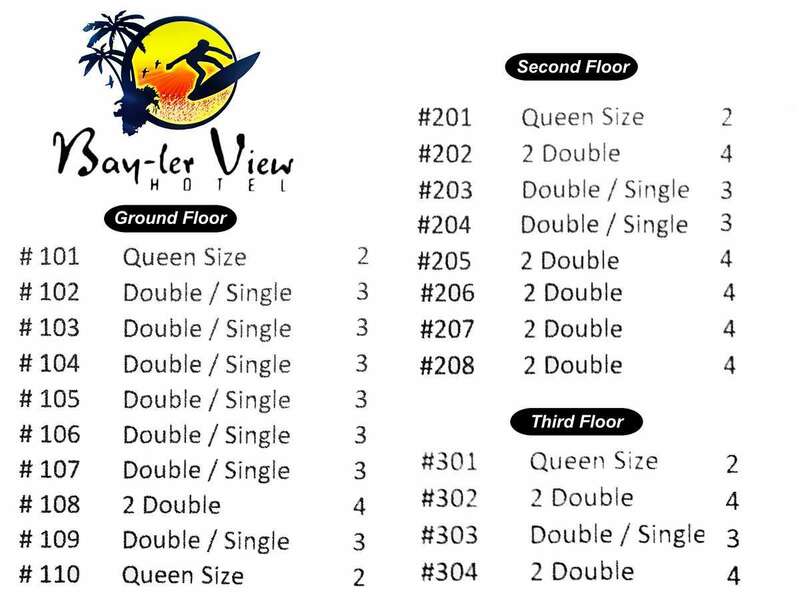 Here’s the room numbers with corresponding bed sizes available and number of guests recommended per room. Click image below to enlarge. 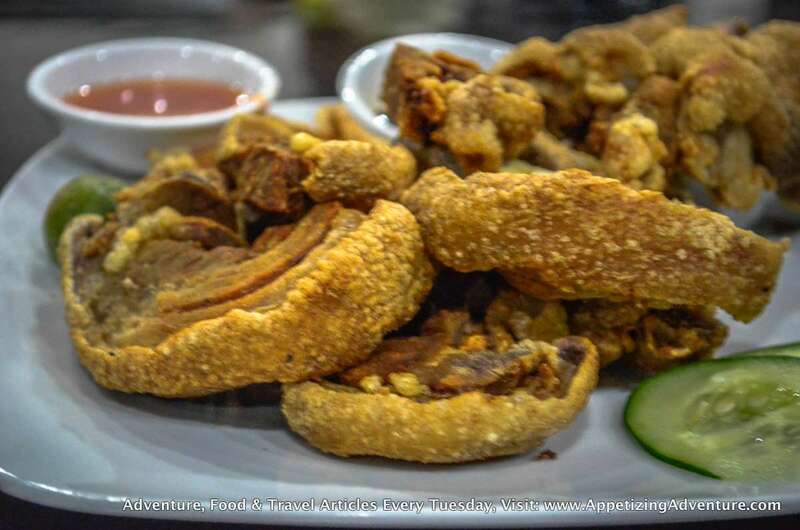 Click here to read more about their boneless crispy pata. Clicke here to read more about their chocnut turon and other items in the menu. Click here to read about Bay-ler View Hotel 2017.